Group-IB, an international company that specializes in preventing cyber attacks, hosted a two-day cybersecurity conference CyberCrimeCon 2018 on Oct. 9 and 10. 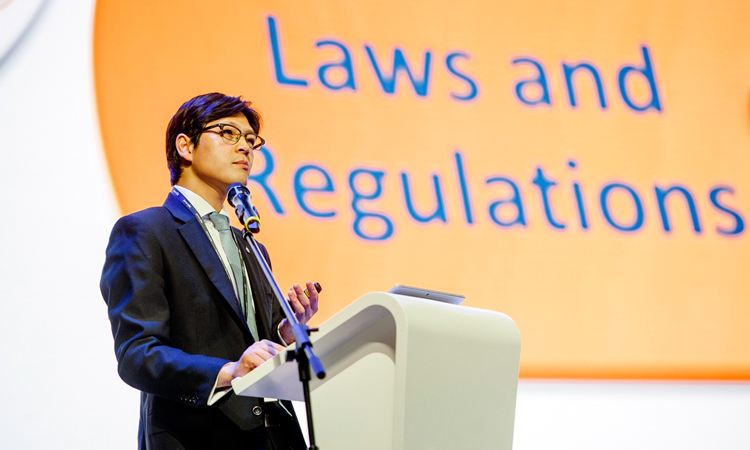 This year’s event brought together over 1500 experts from all over the world, including the representatives form INTERPOL, cyber police from different countries, cybersecurity companies, banks, government organizations, crypto industry. The event featured more than 30 reports and presentations. Over 100 international and Russian journalists attended the conference. Ilya Sachkov, Group-IB CEO and founder, claimed that defense is an outdated strategy. Switching the focus from defense to hunting cybercriminals is a major trend of global cybersecurity market. «The main idea is to turn the tables and become a hunter, not a victim. 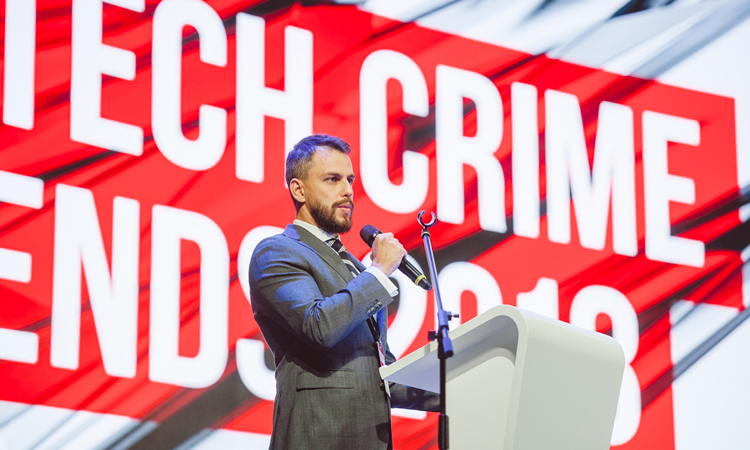 You got to be a few steps ahead of cyber criminals and proactively prevent threats at early stages,» — highlighted Ilya Sachkov. This paradigm is embodied in Group-IB’s new cutting-edge solution aimed at multi-layered protection against targeted attacks. 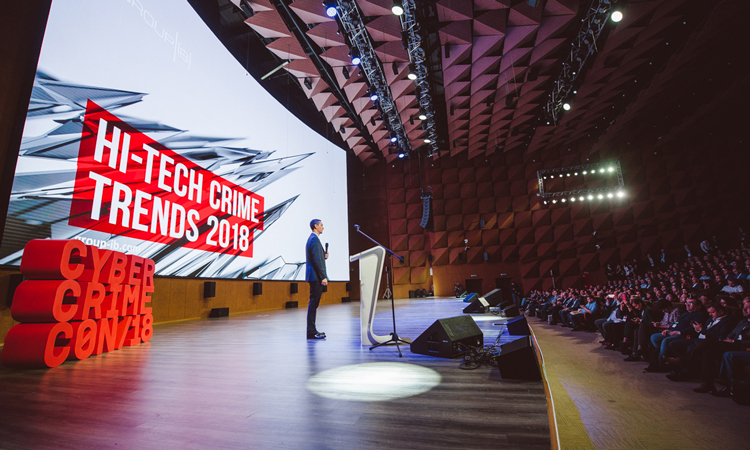 Dmitry Volkov, Group-IB CTO, presented an annual report Hi-Tech Crime Trends 2018, which analyzes global cybercrime trends and provides a forecast on future cyber threats. Group-IB experts estimated that in H2 2017-H1 2018 cyber attacks caused $49.4 million of damage to Russia’s financial sector. Every month, 1-2 banks lose money as a result of cyber attacks, and the damage caused by one successful theft is, on average, $2 million. Dmitry Volkov identified four hacking groups — Cobalt, MoneyTaker, Silence, Lazarus, — that pose a real threat to the financial sector. Banks are also among the main targets of state-sponsored hacker groups, specialized in sabotage. The top three countries of origin of the most active state-sponsored hacker groups are China, North Korea and Iran, while Asia Pacific was the target of most attacks carried out by hackers from multiple countries in the H2 of 2017 and H1 of 2018. According to Group-IB Brand-Protection, the online market for counterfeit goods in Russia has increased by 23% in a year and totaled more than $1.5 billion in 2017, compared to $1.2 billion in 2016. Fraudsters use their websites to sell household appliances and computer equipment, clothing and footwear, jewellery, accessories, cosmetics, medicinal products, and much more, often at hugely discounted prices — up to 80% off. According to Group-IB’s data, every fifth counterfeit product was bought online. On average, Russians spend $78 per year on counterfeit goods. CyberCrimeCon 2018 had a separate crypto industry session. Group-IB experts discussed in details the trends and threats for crypto currency market. In 2017 and 2018 hackers’ interest in crypto currency exchanges ramped up. A total of 14 crypto currency exchanges have been attacked, suffering a total loss of $882 million. At least five attacks have been linked to the North Korean hackers from Lazarus state-sponsored group. ICOs are another hackers’ target: approximately 56% of all money siphoned off from ICO were stolen through phishing attacks. Group-IB experts predict that the biggest miners may become the target not only of cybercriminals, but also of state-sponsored groups. 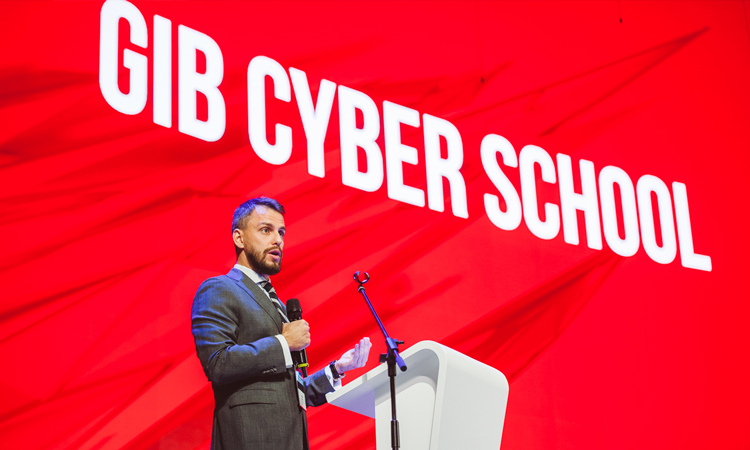 Group-IB announced the opening of CyberSchool — the center for advanced cybersecurity education. CyberSchool offers a variety of hands-on education programs tailored for wide range of people with different levels of cybersecurity qualifications and skills — from school and university students to cybersecurity experts. Group-IB experts already work with the leading international and Russian universities, such as King Mongkut’s Institute of Technology Ladkrabang, Lomonosov Moscow State University, Saint Petersburg State University, Bauman Moscow State Technical University, National Research University — Higher School of Economics and many others.